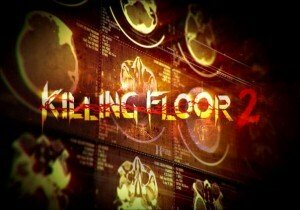 Tripwire Interactive today announced that its highly anticipated co-op sci-fi horror FPS game, Killing Floor 2, will also have a Digital Deluxe Edition offering exclusive additional in-game content. Players wanting to expand their Zed slaying experience will be able to purchase the Digital Deluxe Edition of Killing Floor 2 for $39.99 (US), £26.99 (UK), €36.99 (EU) as a Steam Early Access title starting on April 21, 2015. Killing Floor 2 is the sequel to the highly successful 2009 PC title, KILLING FLOOR, which has sold over 3 million units since its release. Players who purchase the Digital Deluxe Edition will receive all of the exclusive content listed above, PLUS a copy of the original Killing Floor 1 game. The base edition of Killing Floor 2 will be available for PC via Steam Early Access starting on April 21, 2015 for $29.99 (US), ₤19.99 (UK) and €26.99 (EU). All of the additional DDE content will be made available to buy separately at a later date. As a reminder, the special pre-Early Access beta period for Killing Floor 2 is set to end this Thursday, April 16th, in preparation for the Early Access launch next Tuesday, April 21st.